Our friend Sarah of JYH House is a great cook! You probably noticed from our annual Christmas Party photos that she is the 'The Cook' during our gatherings. 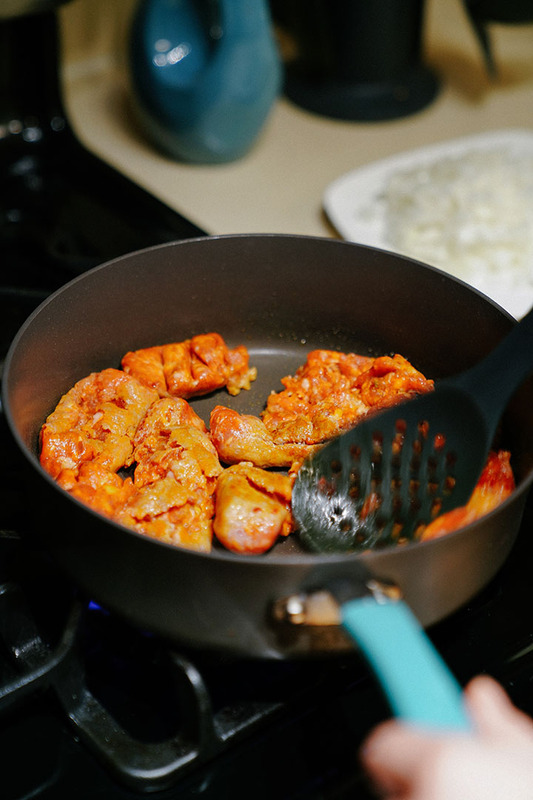 So, Sarah and I decided to collaborate to feature her simple, yet delicious, recipe! The first recipe of this series is her Jalapeño Poppers (You can see the recipe here). 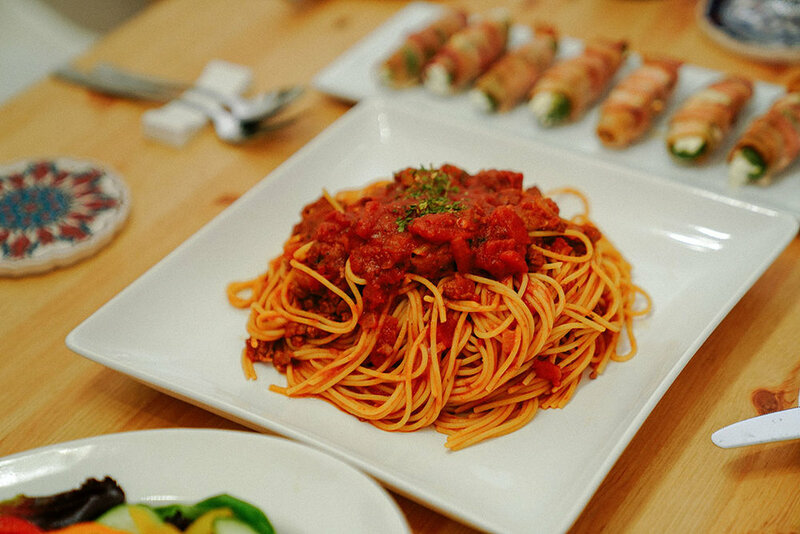 This second recipe from our collaboration with JYH House is her easy-to-make Spaghetti, which you can make with a budget of under $10.00 USD (minus general ingredients you have at home). This recipe serves up to 4 people, but can easily be scaled to serve more. 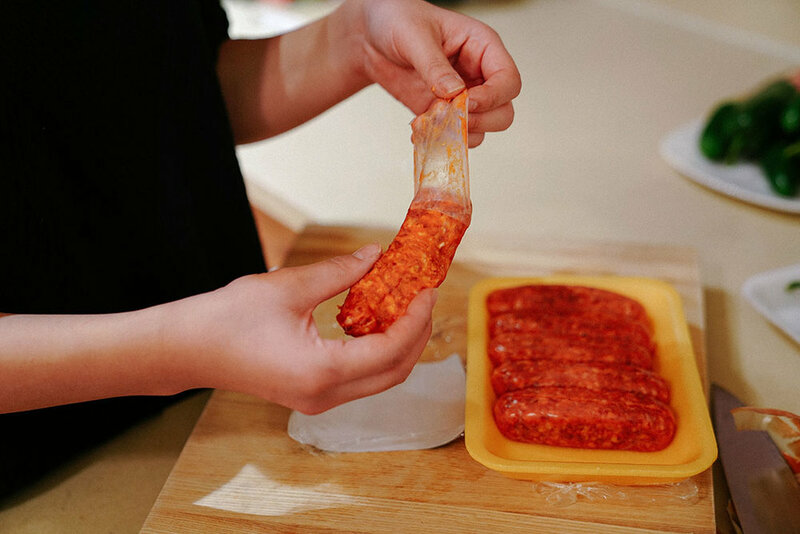 Peel the skin off of a Italian Sausage to get the minced meat only. Oil the Pan while pre-heat. Get ready with opened cans. Smash the sausages into small pieces. Move them into a bigger Pot. Add 1 Can of Diced Tomato. 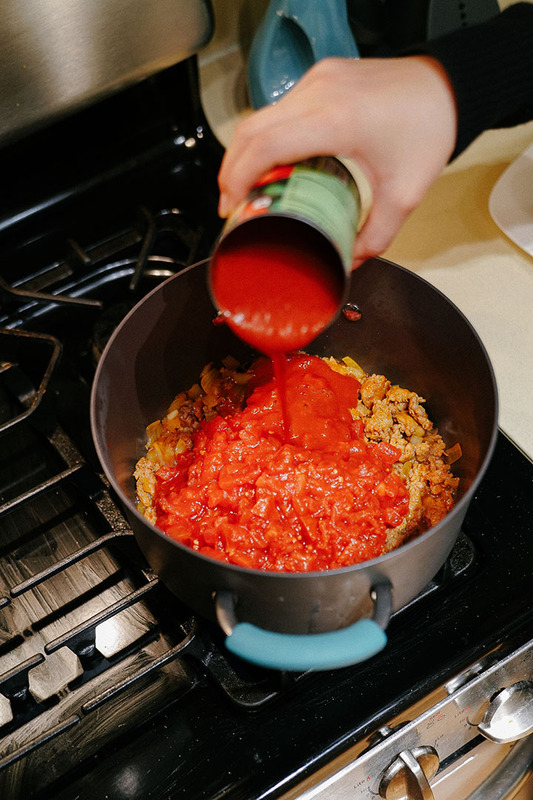 Add 1 Can of Tomato Sauce. Add 1 Can of Tomato Paste. Then mix everything well together while boiling. Then Mix them well all together! 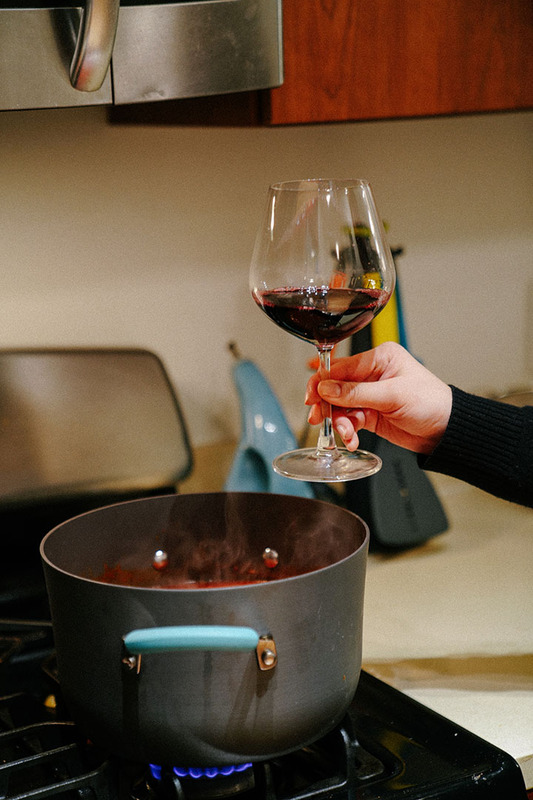 We used Sterling Red wine, but you can literally use any red wine you got. No need the fancy wine at all. Add a cup of red wine. Boil them till it's ready. 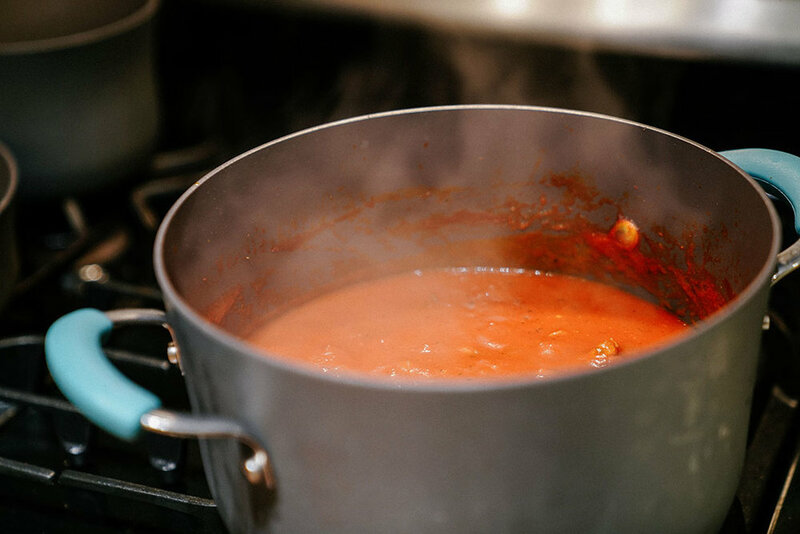 Add well-cooked Spaghetti noodles into the Sauce Pot, and mix them well together. Serve it with bit of a Parsley on top. 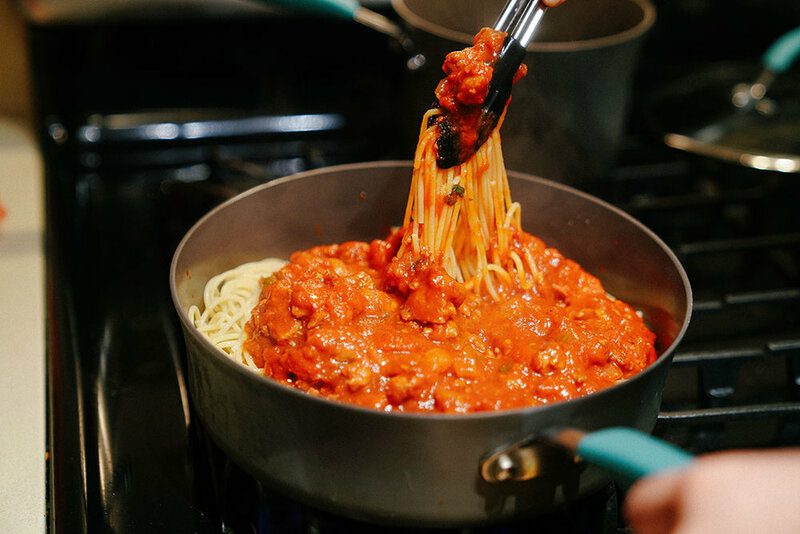 Hope you have a great Italian Dinner at home!